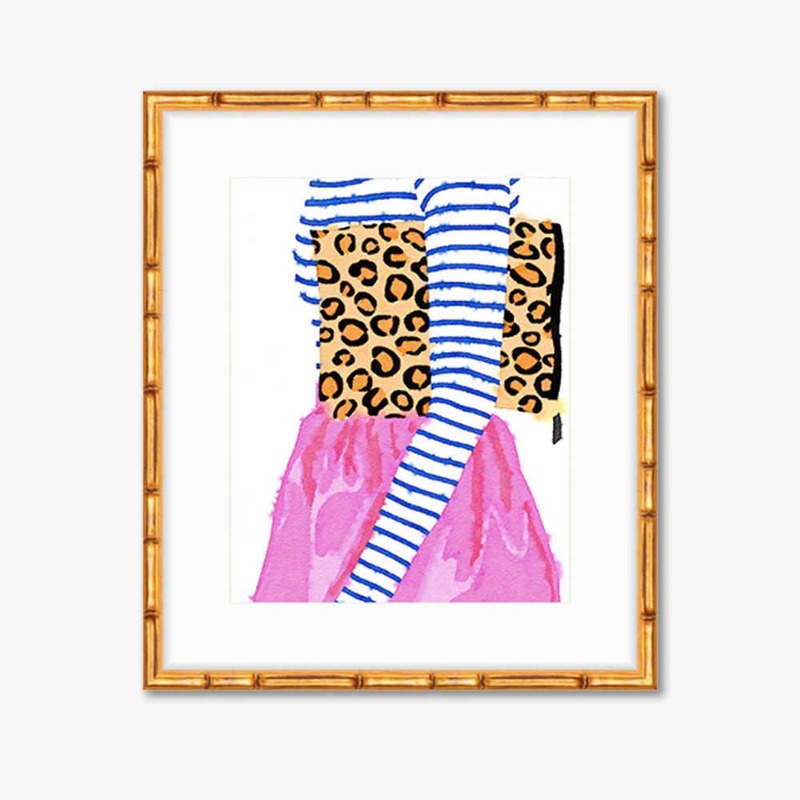 Print features: watercolor fashion illustration of a stylish pattern play - stripes and leopard! Colors: full color print (please note this not an original watercolor, but a print). This print uses a "wet on wet" watercolor technique, which means that in many places the lines and colors of the print intentionally blur and bleed.